A new type of battery that’s received $15m (£10m) in backing from British vacuum manufacturer Dyson could revolutionise electric cars, doubling their range and making them viable for swathes of UK motorists. A company called Satki3, an offshoot from the University of Michigan, has invented a solid-state battery that’s around twice as power dense as the lithium ion type battery commonly found in electric cars and smartphones. So, in a Nissan Leaf for example, the theoretical range would leap to 250 miles if its lithium ion battery pack were replaced by a Satki3 solid-state battery pack of the same size. And as the technology improves, pure electric cars with a 600-mile range are feasible, which would virtually eradicate the ‘range anxiety’ that’s postured as the prevalent reason for the limited take-up of all-electric cars today. The batteries would make plug-in hybrid vehicles more alluring too, by increasing their electric-only ranges. 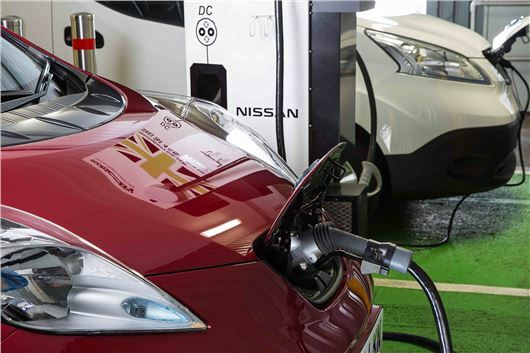 According to SMMT figures, while sales of pure electric and plug-in hybrid vehicles increased rapidly in 2014 compared to the year previous, they still represented less than two per cent of overall UK market share. Dyson’s £10m investment has gone partly into ensuring that the first wave of solid state batteries power its own range of consumer electric goods, including desk fans and portable vacuum cleaners, but the company will develop them for wider commercial use. General Motors is among other companies that have invested in the technology alongside Dyson. Another major factor in the possible implementation of solid-state battery technology in cars is its safety implications. Today's batteries, including the lithium sulphur cells found in the new Aston Martin DBX concept, for example, use a liquid mix that chemically reacts to release energy, but is corrosive in the event of a leak. A solid-state battery not only dispenses with liquids potentially harmful to humans, but is more environmentally friendly, and cheaper to manufacture. Progress at last with electric driven vehicles. This is investment into development. There have been many promising battery technologies that have gathered investment over the years and not panned out. When a car company announces they've put in an offer for a hundred thousand is the time to celebrate progress. I don't know exactly what stage this technology is at, but I'd assume it's at least as likely to fail as to succeed as that's the nature of these things. I endorse what you say but the motor industry has been hide-bound by the combustion engine unnecessarily since its inception and anything that is likely to break this restraint has to be welcomed. Currently I have a Toyota Yaris and the MPG has trebled in relation to my previous cars which I find delightful. If there is a problem with the hybrid it is remembering that it does also run on petrol! Then either your driving is unusually suited to a hybrid or your previous cars were far from economical. Looking at the average reported fuel economy on this site the Yaris Hybrid has just a 4mpg advantage over the petrol. That would be good in isolation, but when it comes with a £3000 up front premium and the extra costs associated with maintaining a second drivetrain it's hard to see why it would be anything except an extremely niche choice, all else being equal. There has simply never been anything sufficiently better than the internal combustion engine for a car company to take on the risk and spend the astronomical amounts of money it would require to transition. Plenty of companies have sold unusual niche vehicles to the rich (Honda Insight, Mazda MX-7 etc.) so I don't think it's for lack of trying but for low margin mass market cars you need enough improvement to make up for the higher price and all the inconveniences of using niche technology. Hybrids and Electric cars don't have that from a practical standpoint. This change is being driven by cultural factors. My previous car was a Corsa auto 1.4 which gave 22 mpg. The engine was checked twice and found to be okay. After a year I sold it and bought the Yaris 1.4 auto. Both cars were used for the same journeys which are between 3 to 7 miles daily on rural roads. The Yaris (on the 100 mile test) shows the consumption as 52 mpg. It would appear that if I used it on longer runs or particularly in town that the consumption would be much lower. The site HonestJohn provides some interesting comment on user's consumption. I can't wait for the next gen eV's. Just one thing bothering me. Good looking young billionaire with a very unusual name, transforming technologies for the greater good of the planet. Come on people. It's obvious. He is definitely a Bond super villain. Hope 007 is onto him.